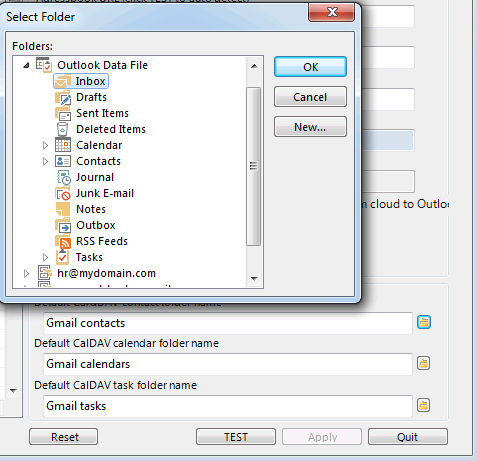 Google Calendar Sync for Outlook is an Outlok add-in (plugin) from Google. 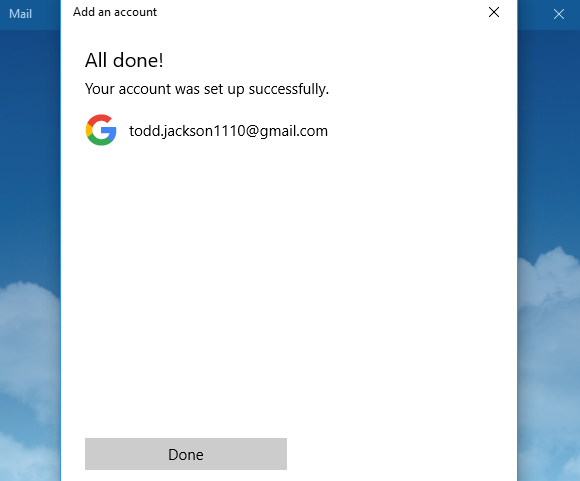 It has enabled users to sync between Outlook 2016 and their Google Calendars for years instead of manually importing/exporting as VCF and ICS files. However, after Google discontinued it for free Gmail account users back in mid of 2014, almost everyone has been looking for an alternative. Let’s find out all possible ways to do the same syncing task. Download and install EVO Collaborator for Outlook from its official website. 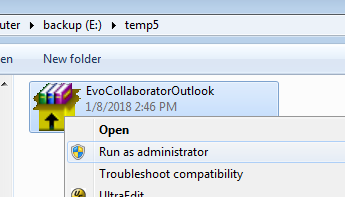 Right-click on downloaded EvoCollaboratorOutlook.exe and select on Run as administrator. Select Profile #6 to the left. 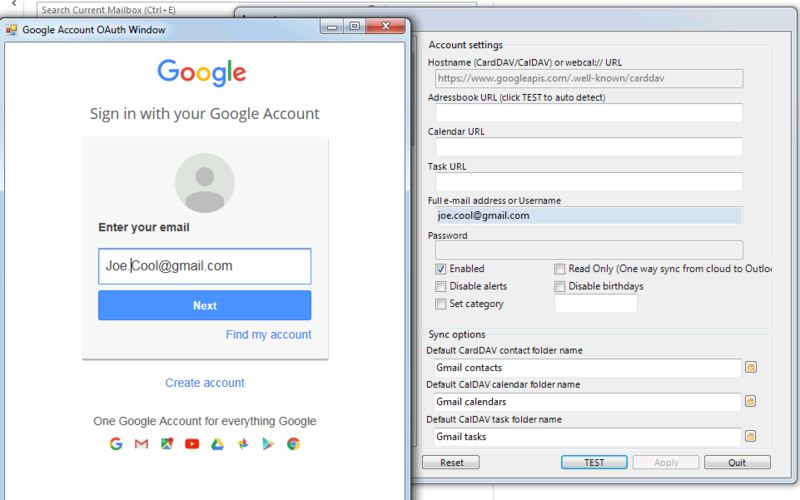 Enter your Google account in space under Full e-mail address or Username. Under Sync options, you can use the default value of Gmail contacts/calendars/tasks. 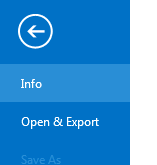 Or click on folder icons to the right and specify folder path. Click on TEST button to proceed OAtuh. Once authenticated, URLs will auto-fill in corresponding spaces. If you have multiple calendars or tasks, there will appear folder icons next to the URLs. Click the icons to select your calendar or task. 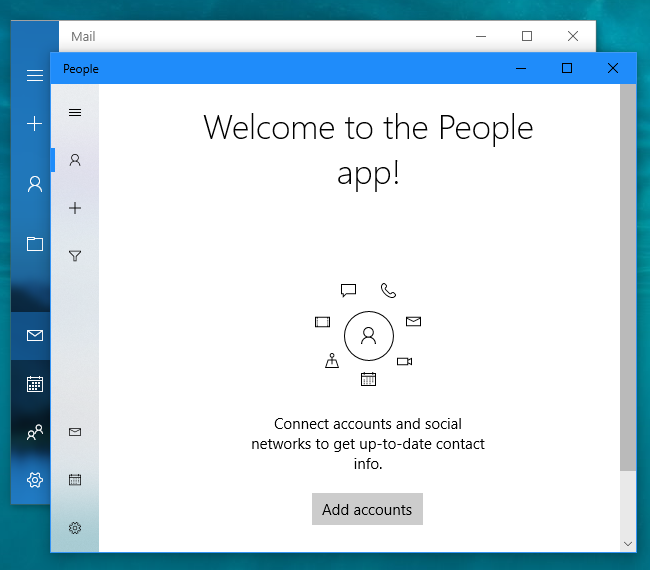 Click on Apply and Quit buttons to exit Configure Profile(s) window. An initial sync will take place. Click on Gmail calendars folder at lower-left and you will see synchronized calendar entries. 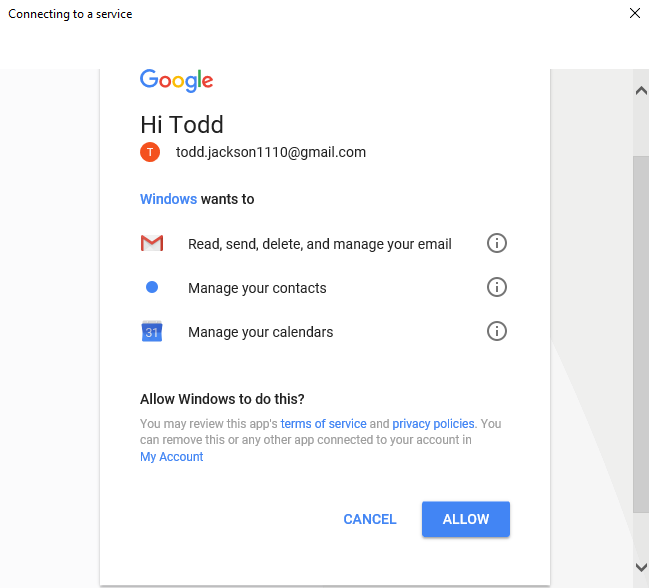 Ask Todd to log in his Google Calendar. Click on Options for … (3-dots) of the specified calendar under My calendars. Click on Settings and sharing. Click on Share with specific people under Settings for my calendars. Enter your gmail account and click on SEND. Now, log in your Gmail account. You will receive an e-mail from Todd saying todd.jackson1110@gmail.com has shared a calendar with you. 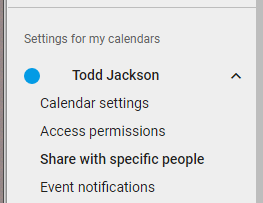 Click on View Your Calendar and you will be browsed to your Google Calendar, where Todd’s shared calendar entry will appear under Other calendars. 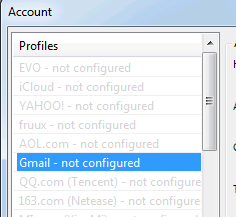 Now, go to your Outlook and click on Configure Profile(s). Select a vacant profile such as Profile #21 at lower-left. Click on TEST button to proceed OAuth. A folder icon will appear next to calendar URL. Click on the folder icon and there will be a popup list. 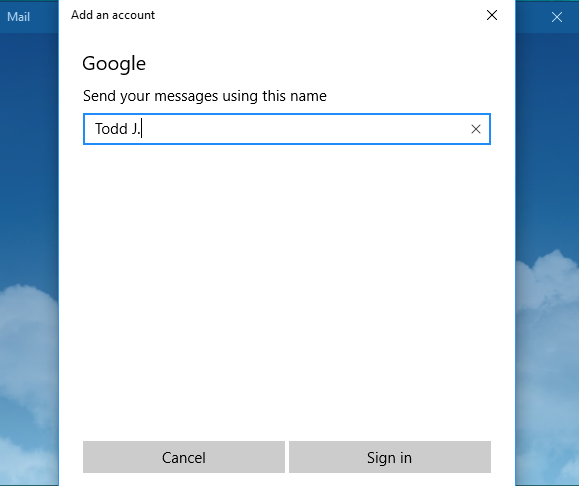 Select Todd’s Gmail address and click on Choose button. Click on Apply and Quit to exit Configure Profile(s) window. Click on CalDAV calendars 21 in the calendar list to the left and your will see Todd’s shared calendar. For additional sharing calendar, you can repeat steps above to configure additional profiles in vacant profile slot. Click on Options for … (3-dots) of the specified calendar under My calendars and click on Settings and sharing. Click on Calendar settings under Settings for my calendars. 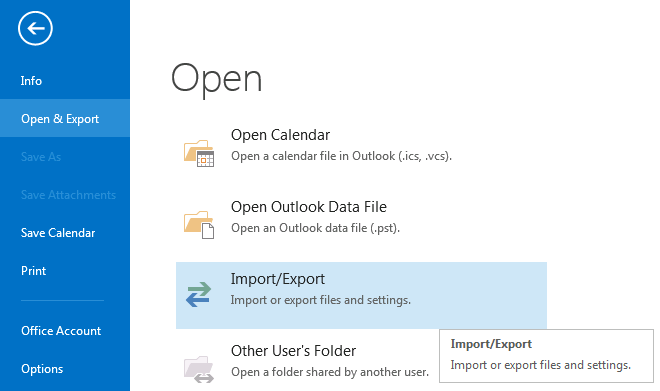 Click on EXPORT CALENDAR to export the .ics file. Extract the zip file to a temporary folder. Click on FILE at top-left and select Open & Export. 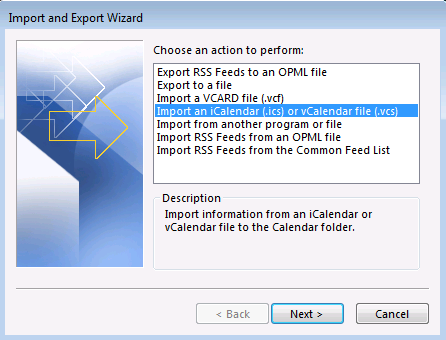 Select Import an iCalendar (.ics) or vCalendar file (.vcs). Browse to the temporary folder where you saved the .ics file. At the reminder, you can choose to import it to a new calendar or an existing calendar. Lastly, calendar import is complete. 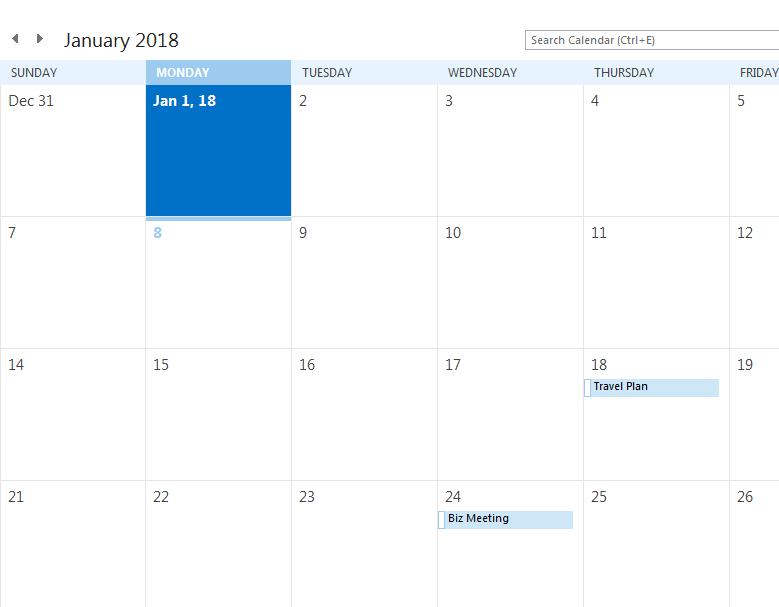 Thunderbird – Free – Contact, Calendar, Task – Lightning plug-in for Thunderbird syncs Google Calendar while gContactSync syncs address book of your Gmail account. How to configure Lightning plug-in for Thunderbird? gContactSync Download site. Here is a tutorial video. 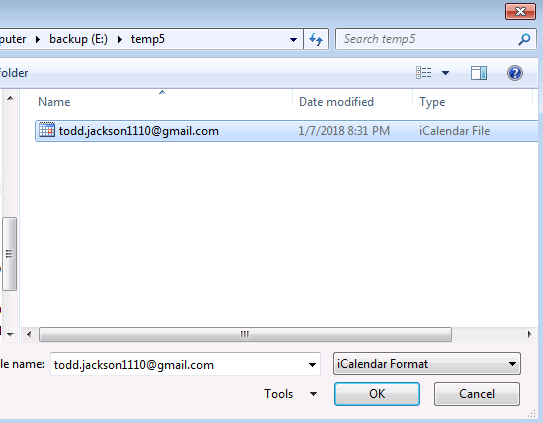 emClient – Free/Paid – Contact, Calendar, Task – This Windows desktop e-mail client software enbles you to fully sync Gmail services. Settings tutorial in order sync Google e-mail, contact, calendar and task. 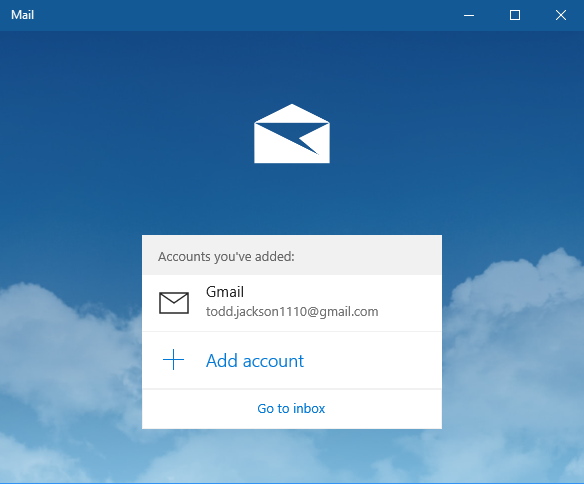 Open Windows 10 Mail and click on + Add account. Click on Google from the list. 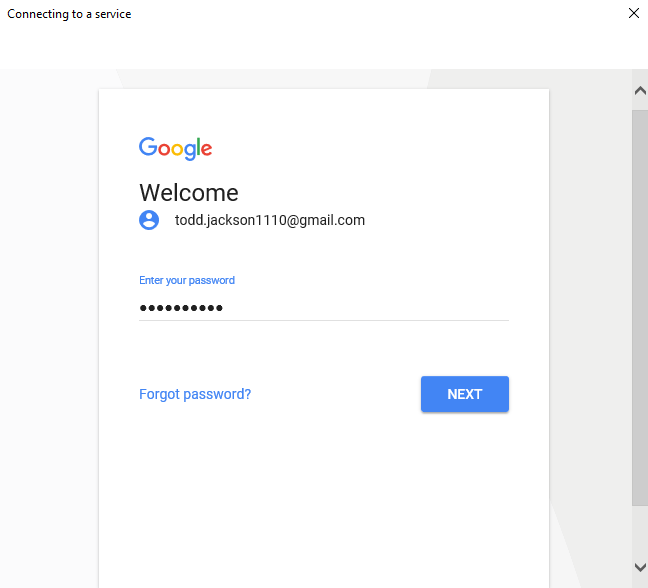 Enter Google account -> NEXT & password -> NEXT. 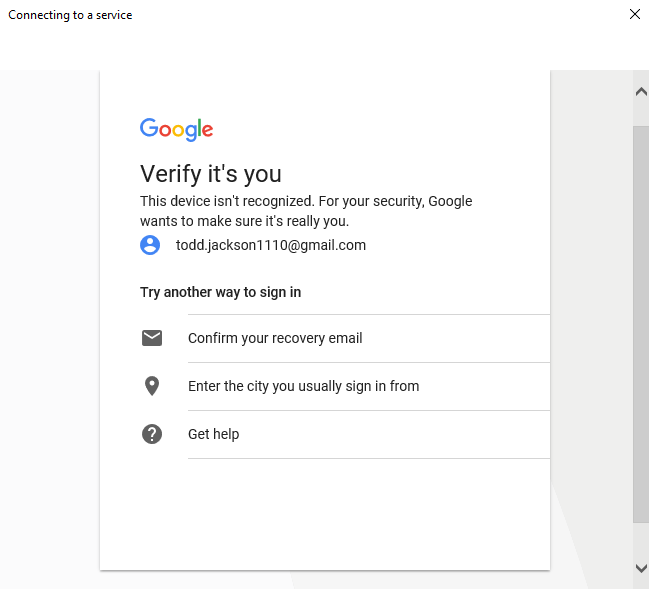 Select either Confirm your recovery email or Enter the city you usually sign in from to verify you are the account owner. Click on ALLOW to authorize and continue. 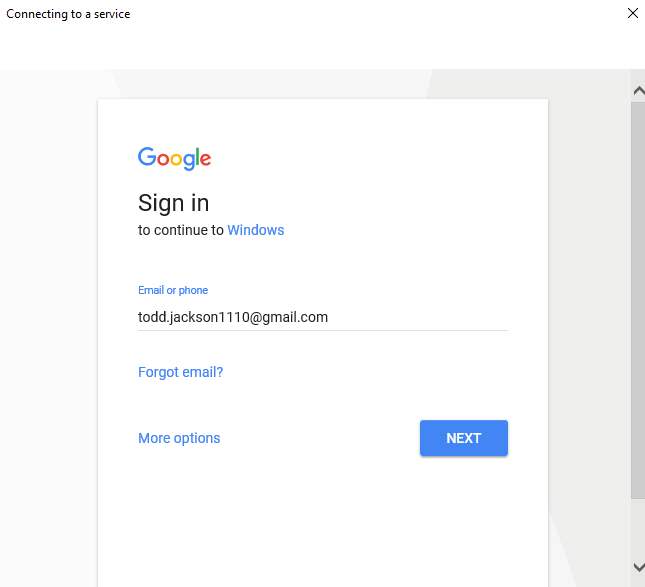 Enter Name to use on sending e-mail message for your Google account and click on Sign in. Click on Done to continue. Click on Go to inbox to continue. 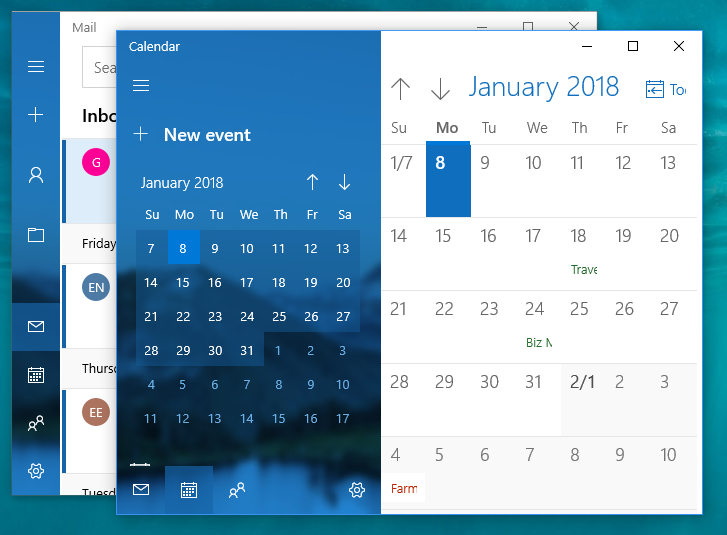 Click on Calendar icon at lower-left to display your calendar. Click on People icon at lower-left to initiate People app. 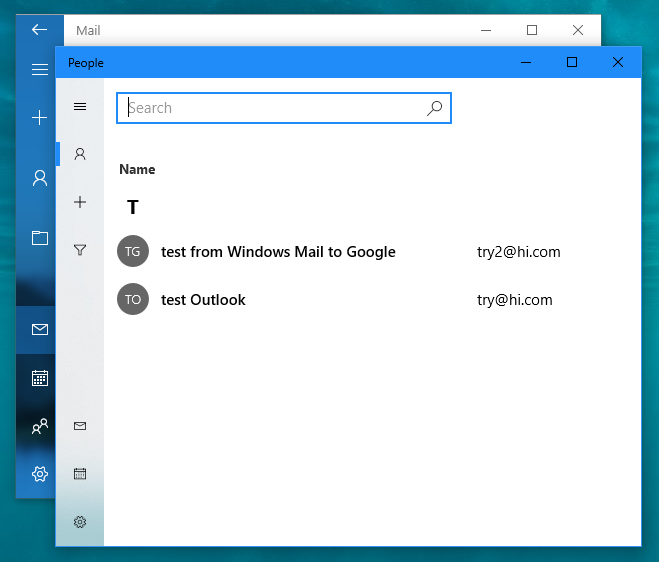 To accelerate contact sync, create a test contact in Windows 10 Mail first by clicking on Add acounts. Click on Save to to select Gmail and it will save to your Google contact. 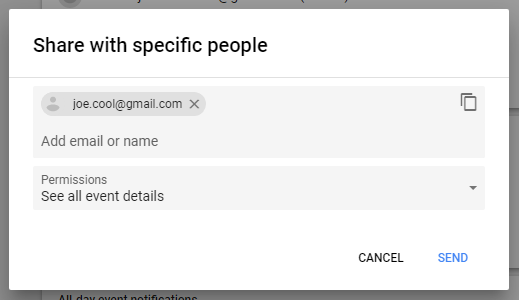 After a test contact is created, sync will take place and you will see contact on your Google account too. iCloud – Free – Contact, Calendar, Reminder (Task) – E, O, G – iCloud is a cloud service from Apple Inc. It would be an ideal solution if you own an iPhone, iPad, or an iMac. MI Cloud – Free – Contact – E – MI Cloud offers CardDAV service for its mobile phone users. GMX Mail – Free – Contact, Calendar, Task – E, O, C, G – GMX Mail belongs to a German Internet services company called United Internet AG. It is a free email service Every GMX account includes calendar, address book, task services and etc. Web.de – Free – Contact, Calendar, Task – E, O, C – Like GMX Web.de belongs to the same Internet services company. It is also a free email service, including calendar, address book, task services and etc. Fastmail – Paid – Contact, Calendar, Task – E, G – FastMail is an email service, owned by a company located in Melbourne, Victoria, Australia. It is offering paid email accounts, contact, calendar, task, and etc. for individuals and organisations. Mail.ru – Free – Contact, Calendar, Task – E – Mail.Ru Group is a Russian Internet company. Among its variety of services, users can sync emails, calendar, contact and task. Yandex – Free – Contact, Calendar, Task – E, O – Yandex N.V. is a Russian multinational technology company. It is one of the popular search engine website also offering email, contact, calendar and task and many other Internet-related services. 163.com/126.com – Free – Contact, Calendar, Task – E – NetEase, Inc. is a Chinese Internet company offering online services based on content, community, communications and commerce. It offers free emails, contact, calendar and task services. 263.com – Free – Calendar only – E – Net263 Inc. is a Chinese Internet company providing online commerce services to corporations and small/medium companies. It offers free emails, contact, calendar and task services. QQ – Free/Paid – Contact, Calendar – E – Tencent QQ, also known as QQ (an instant messaging software service), is owned by Chinese company called Tencent Holdings Limited. It provides e-mail, contact and calendar services to its QQ members. Aol – Free – Contact, Calendar, Task – E, G – AOL (formerly a company known as AOL Inc., America Online, and Aol.) is an Internet service provider based in New York. AOL provides email, contact, calendar and task services to its members. fruux – Free/Paid – Contact, Calendar, Task – E, O, G – fruux is a cross-platform synchronization service powered by SabreDAV. The service enables users to synchronize address book contacts, calendar events, tasks, bookmarks and notes between various platforms and devices. Infomaniak.com – Paid – Contact, Calendar, Task – E – Infomaniak is a web-hosting company in Switzerland. It offers email, contact, calendar and task services to its customers. sapo.pt – Free – Contact, Calendar, Task – E – SAPO, abbreviation for Servidor de Apontadores Portugueses Online, belongs to Portugal Telecom Group. This Portuguese Internet service provider started as a search engine back in 1995. It provides email, contact, calendar and task services to its customers. Toodledo (task only) – Free – Task only – E, G – Toodledo is a business productivity tool that makes task-keeping easy than ever. With Toodledo and GTD, you can remark to-do lists with folders, tags, contexts, subtasks and more to help organize your lists as efficiently as possible. One.com – Paid – Contact, Calendar, Task – E, O, C – One.com is a web hosting services established in Denmark in 2002. It is popular across Europeean regions. Customers get email services on their own domain along with address book and calendar services. Posteo.de – Free – Contact, Calendar, Task – E, O, C – Posteo, an independent email provider based in Berlin, was founded in 2009. It offers solid email accounts, address books and calendars. EVO Mail Server – Paid – Contact, Calendar, Task – E – This affordable server software provides mail, contact, calendar and task sync services. 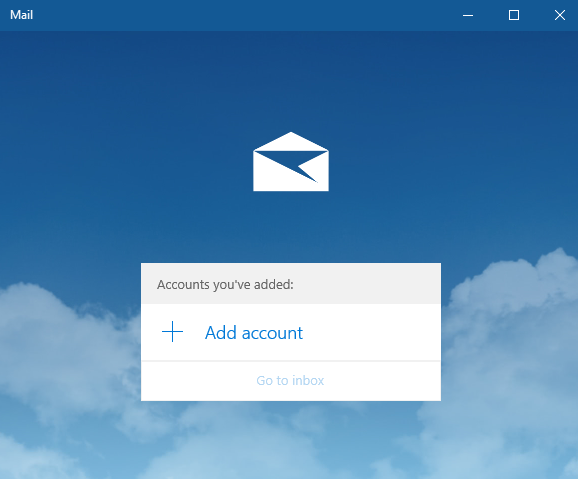 Users of Windows, Mac, iOS devices and Android devices are able to use its services of mail, CalDAV and CardDAV. Synology – Paid – Contact, Calendar, Task – E, O, C, G – Synology specializes in Network-attached storage (NAS) appliances. More than being just storage, its DSM provides e-mail, CardDAV and CalDAV services as well for synchronizing contact, calendar and task. Baikal – Free – Contact, Calendar, Task – E, C – Baïkal is a sabre/dav-based CalDAV and CardDAV server. NextCloud – Free – Contact, Calendar, Task – E, O – Nextcloud is a client-server software. Its users can sync calendars, contacts and scheduled tasks via CalDAV and CardDAV protocols. ownCloud – Free/Paid – Contact, Calendar, Task – E, C, G – ownCloud is client–server software.Its users can sync calendars, contacts and scheduled tasks via CalDAV and CardDAV protocols. macOS Server – Paid – Contact, Calendar, Task – E – macOS Server is formerly known as Mac OS X Server and OS X Server by Apple Inc.Among many server features, Address Book server, Mail Server, and iCal Server 2 are deployed. 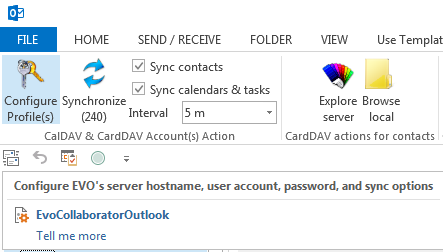 DAViCAL – Free – Contact, Calendar, Task – E, C – DAViCal is a server that supports CalDAV and CardDAV and it is backward compatibile with WebDAV. eGroupware – Free – Contact, Calendar, Task – E, C – EGroupware is free open source groupware software for businesses from small to large scale. EGroupware enables usrs to synhronize e-mail, appointments, addressbook entries and tasks via mail protocols, CalDAV and CardDAV. Horde – Free – Contact, Calendar, Task – E – Horde groupware provids e-mail, contact, calendar and task services. Kerio Connect – Paid – Contact, Calendar, Task- E – Kerio Connect makes email, calendars, contacts and task management easy and affordable. Kolab – Free – Contact, Calendar, Task – E – Kolab is a free and open source groupware suite, based on IMAP, vCard, iCAL, XML and LDAP. MailEnable – Paid – Contact, Calendar, Task – E – MailEnable is a Windows-based, commercial mail server, which supports IMAP, POP3 and SMTP as well as groupware and collaboration functionality backed up by MAPI, CalDAV, CardDAV, and etc. sabre/dav – Free – Contact, Calendar, Task – E – Sabre/dav is an open source WebDAV server, developed by fruux. It is implementated with WebDAV as well as extensions for CalDAV and CardDAV). SOGo – Free – Contact, Calendar, Task – E, O, C – SOGo (formerly named Scalable OpenGroupware.org) is an open source collaborative software server aiming at demand for simple and scalable implementation. It supports groupware standards such as CalDAV, CardDAV, WebDAV as well as extensions developed from all these protocols. Zimbra – Free/Paid – Contact, Calendar, Task – E – Zimbra Collaboration Suite (ZCS) is a collaborative software suite. It comes with an email server and web client. ZCS can synchronize mail, contacts, and calendar items with open-source mail clients. I think we have covered almost every possible solution out there. To migrte, all you need is to spend some time and patience. Go through steps the migration takes before it really happens and back up all your entries before hand. 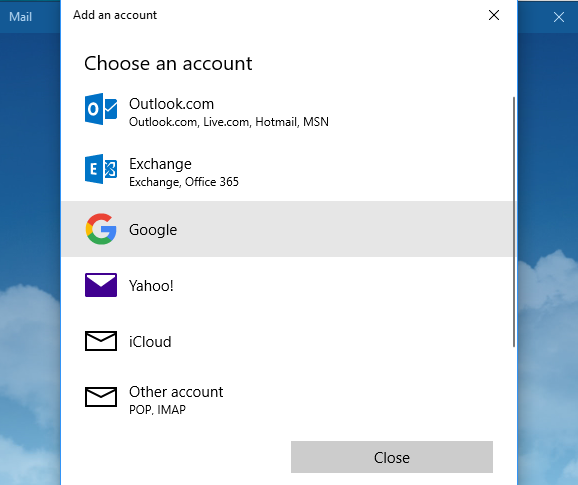 Then, the discontinued Google Calendar Sync for Outlook is not the end of the world. Also, as what we have seen, numerous alternatives are out there one way or amother. It really depends on whether you want to stay with Google or not? It also depends on whether you want to stay with Outlook or not? 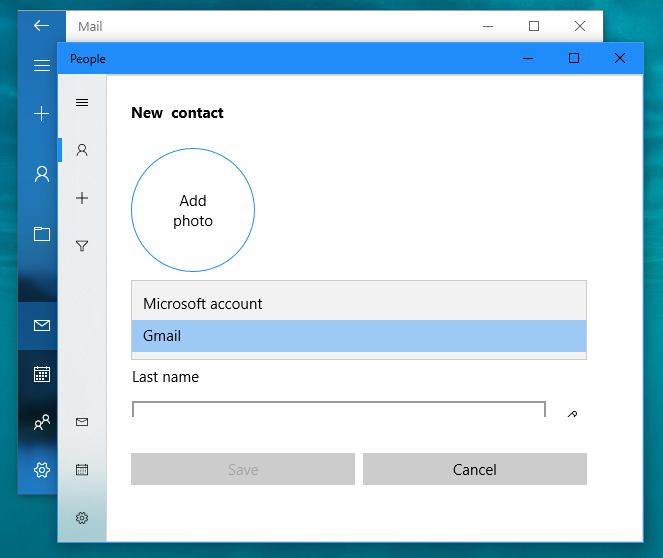 In conclusion, EVO Collaborator for Outlook is the most compatible solution for syncing with various server and services under Outlook while Thunderbird and Mail for Windows 10 are your choices if Outlook is not a must. Previous postOGCS: Hey! Have you tried the free Google Calendar syncing tool: OGCS yet?